When uploading documentation only ONE DOCUMENT CAN BE UPLOADED AT A TIME. CLICK HERE to view Stage 3 Financial Documentation information. Thank you for your hospitality during the recent BGA School Visit. The BGA Committee finds these visits very helpful. The next part of the application process for Round 2019 is submission of Stage 3 Financial Documentation. This information supplements your school’s Financial Forecast provided in Stage 2 Initial Application and is used to help the Committee rank the 14 applicant schools by Financial Need and determine indicative grant allocations. The two Stage 3 documents required are available on the website in the Make an Application section. The due date is Tuesday 16 April 2019. Go to MAKE AN APPLICATION at the top of this page to submit documentation for this Stage. A briefing on how to complete the Stage 2 forms will be held at the AISSA Office on 11 December 2018 at 10 am until 11.30 am. This is for those that are new to the BGA process and procedures of for schools that have not applied for some years. Please indicate your attendance via email. CLICK HERE. 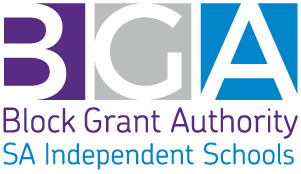 For a copies of the Powerpoint Presentations made at the 2018 BGA Seminar held on Monday 22 October 2018 for 2020 Capital Grant Funding Round please click on the links below. Schools applying for a Capital Grant Funding for Round 2020 must have an acceptable Master Plan and the application’s Proposed Project needs to be a part of that Master Plan. Applications for a Master Plan Grant need to be lodged with the BGA by 1 August for approval by the BGA Committee later that month. More information about Master Plans and Master Plan Grants is available HERE and scroll down to MASTER PLAN GRANTS. If you prefer you can contact either John Wilson or Jane Pike directly. Contact details are below. Stage 4 Final Documentation Round 2019 Capital Grants closes on Friday 6 July 2018 . Go to MAKE AND APPLICATION > STAGE 4 FINAL DOCUMENTATION to download and submit the required documentation. When uploaded documentation only ONE DOCUMENT CAN BE UPLOADED AT A TIME. CLICK HERE to view Stage 2 Initial Application information. Please note some minor changes to the Milestones for 2018. The invitation to proceed to Stage 4 has changed from 3 May to 17 May and the Stage 4 School Briefing session moved from 8 May to 22 May. CLICK HERE for full list of Milestones. The Capital Grant Program (CGP) Operating Manual has been rebranded by the Australian Government, Department of Education & Training as the Capital Grant Program (CGP) Guidelines 2018. The revised edition is on the Departments website and can be downloaded HERE. Applications for 2018 Funding APPROVED! Congratulations to those schools that successfully applied for 2018 Capital Grant funding.